Do you feel like the number 152 is literally following you? Is the number 152 popping up at every single turn you make and seems to keep announcing its presence to you? You can rest assured because it is for a good reason. Whenever you keep seeing a recurring number, please note that it’s you divine angels trying to pass a message to you. In your case, the message your angels are trying to tell you is engraved in the number 152. With angel number 152 you are being advised to believe in yourself and forge ahead. Reach for your dreams and be positive as you make decisions and choices. Remember to involve the people around and to support them in their struggles and challenges. That way, you will develop in a wholesome manner. 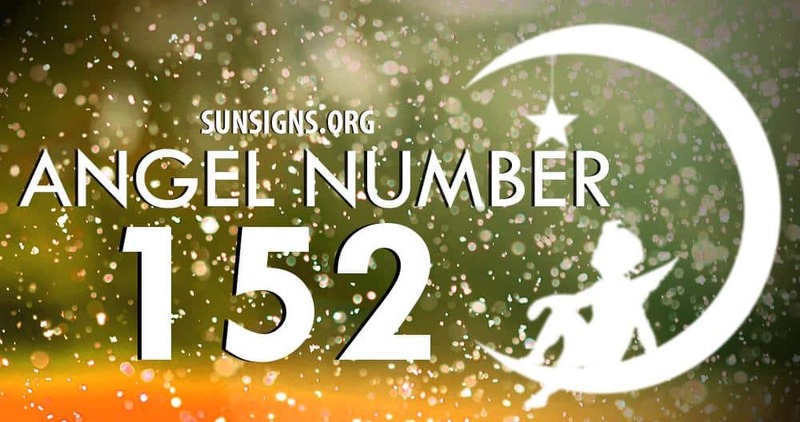 Angel number 152 is a combination of the numbers 1, 5 and 2. Number 1 implies winning. It is associated with success and accomplishments. This angelic number is mostly used to relate to taking lead in an exercise or undertaking. It is closely associated with traits like tenacity, go-getter attitude, persistence, ambition and courage. Number one is also associated with new beginnings of projects and launching of fresh experiences. The number 5 is also closely associated with fresh beginnings in your life. It influences your life by bringing about new and long-awaited experiences that will help you grow a notch higher in your life. This number comes along with qualities like versatility, resilience, decisiveness, resourcefulness and a touch of independence and personal freedom. The guardian angels sense that you are full of vitality and energy to take on new experiences in your life. Number 2 signifies the forging of partnerships and worthwhile relationships. This number brings about balance and grace in your life. The angels sense that you will need balance during the changes and experiences that will take place in your life. Your angels are informing you with the angel number 152 that the prayers you have been making are being answered. You are being notified to expect results of your prayers sooner than you had earlier anticipated. These results and changes should not throw you off balance; that is why you need to be ready. The angel number 152 meaning asks you to understand that the only static element in this world is change. Your angels are letting you know that they will hold your hand throughout the entire process.